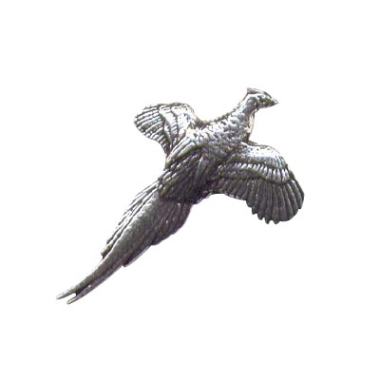 This hand sculpted pewter brooch depicting a Flying Pheasant is manufactured in the UK. Made of quality pewter showing brilliant detail, this brooch is the perfect finishing touch to pin to your jacket, hat or handbag. Supplied in a gift box, our pewter brooches are superb stocking fillers or little gifts for any shooting enthusiast.